We are a family run smallholding in Nottinghamshire with a love for poultry, who cater for anyone wanting to keep happy chickens at home. Please call for up to date information on availability and any advice required. Colours and availability change reguarly, please get in touch for an updated list or check the website. Please check our website to see photos of what we have for sale. Quality birds from good laying strains, range of ages and birds available. Various breeds available throughout year. Please contact for further information. 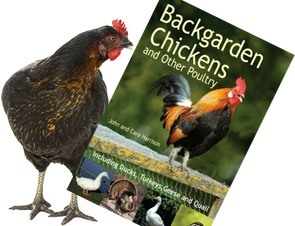 Hens for Pets are breeders of pure and rare breed bantams, a few large fowl and ducks. The breeds chosen are ideal for small gardens to farm environments and we help you choose what's best for you, with a lot of help and advice along the way. We don't operate 'shop hours' so please ring to arrange to view or purchase birds. All our birds are raised on the farm, on grass, and will be wormed prior to sale. We also offer hen & duck boarding - so your holidays are covered !